DualShockers checks out Lizardcube and DotEmu's remake of a Sega Master System and PC Engine cult classic - Wonder Boy: The Dragon's Trap. I wasn’t alive during the heyday of the Sega and Nintendo consoles wars, but if I was, I believe I would have been a Sega kid. I would have been been drawn more to Sega’s “against-the-grain” attitude, and the games that kind of environment fostered. One of these unique games was Wonder Boy III: The Dragon’s Trap, an action-platformer which released for the Sega Master System back in 1989. 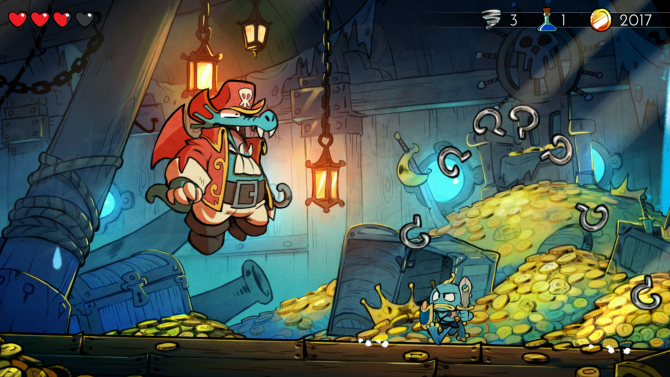 Lizardcube and DotEmu have remade Wonder Boy III with Wonder Boy: The Dragon’s Trap, creating an excellent mix of old-school and new-school, and setting a new standard for how remakes should be handled. Wonder Boy: The Dragon’s Trap spared no time getting me into action, as the game started with me besieging a castle as fully upgraded Hu-Man, the human version of Wonder Boy. During this opening, I got a feeling for the basic attacking and jumping controls, and introduced some of the more common enemy types. After fighting through some enemies, I made my way to a mecha-dragon who I fought and swiftly defeated. It started spewing gold, but a blue flame attacked me, turning me into a lizard. I frantically made my way out of the castle, and it collapsed behind me as the title appeared on screen. I ended up in a village outside the castle, and found it was up to me to change back into who I once was. 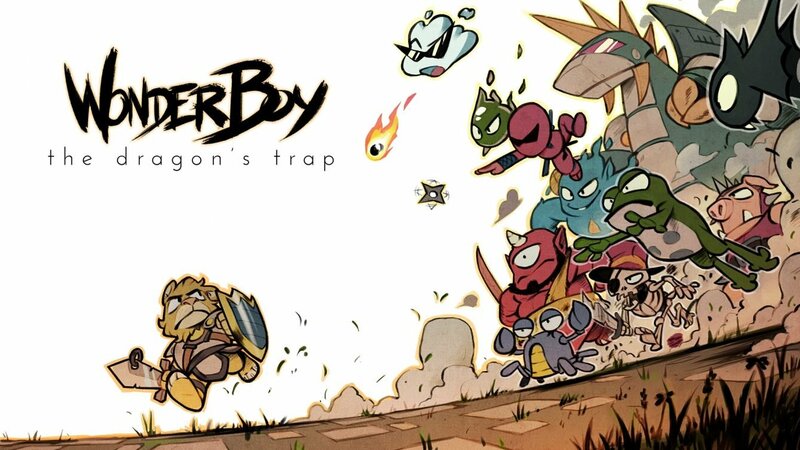 Like many retro games, Wonder Boy: The Dragon’s Trap is quite light on story, but I was fine with that, as the game’s lack of a linear or pronounced narrative makes the adventure to become Hu-Man again feel more like a organic adventure that I was embarking on my own. The village the player starts in serves as a hub world of sorts, leading to different areas like a desert, a beach, and a forest. All these areas have different challenges for one to overcome as they find hearts to lengthen their health gauge and fight bosses. The game’s lack of a linear or pronounced narrative makes the adventure to become Hu-Man again feel more like a organic adventure that I was embarking on my own. After defeating each boss, Wonder Boy is turned into another animal. As I mentioned before, the first one players turn into is Lizard-Man, who can spit fire as a projectile without having to use an item. This is the worst of the forms, and I rarely found myself using it as I unlocked thelater ones. The second form players encounter is Mouse-Man, who can climb on marked walls and squeeze into tiny areas. This form is used often in the game, and came to be one of my favorites. Next, one turns into Piranha-Man, who can swim in water, allowing him to access areas that the other forms can’t. Lion-Man has a broadsword and has a wider range of attack, making the most useful for combat. The final transformation players come across is Hawk-Man, who can freely fly around the map, making late game traversal much easier. Players can change forms in portal rooms located across the game’s map, with one being situated in the home village. 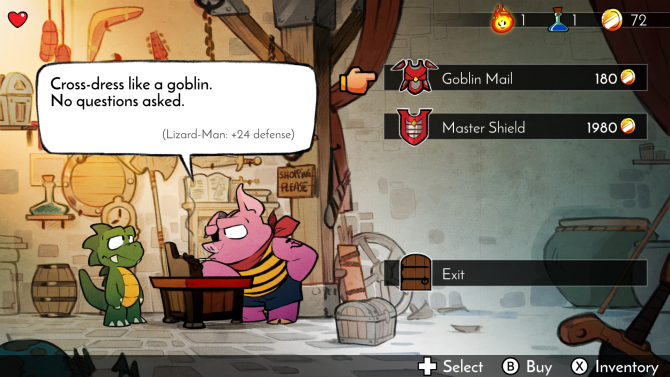 Sans Lizard-Man, I found all of the forms in Wonder Boy: The Dragon’s Trap to be equally useful and unique, offering up different gameplay scenarios that constantly kept the game fresh. 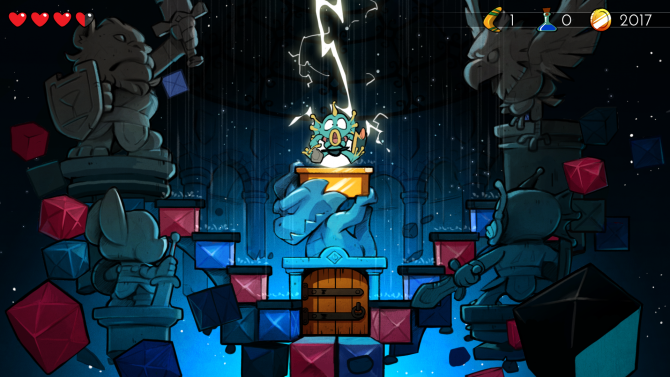 Players also gain their own abilities that apply to all classes, such as the ability to break blocks. There are also a variety of magical stone tablets players can collect by killing enemies and opening chests. Doing these aforementioned things also nets players coins, which you can spend at various shops throughout the world to get better armor and weapons, or at hospitals to fully heal their character. The shopkeepers also had funny quips after the player interacted with them depending on the location, which prevented purchasing items from becoming mundane. I found that most of the weapons and armor were fairly priced, and only the absolute best ones required a bit of grinding in order for me to muster up enough cash to purchase them. It is a great retro game that excels with its non-linearity and fun gameplay. Luckily, the game stays just as strong in this remake. So far, this review could have mostly pertained to Wonder Boy III: The Dragon’s Trap’s original release on the Master System. It is a great retro game that excels with its non-linearity and fun gameplay. Luckily, the game stays just as strong in this remake, as Lizardcube and DotEmu did many to things to help modernize game while still keeping that retro feeling – mostly because the retro visuals and audio are also included. The completely remade graphics were hand-drawn frame-by-frame, and this choice really pays off. Along with Shante: 1/2 Genie Hero, Wonder Boy: The Dragon’s Trap sets a new standard for animation in 2D platformers. The game is wonderful to look at, with the smoothly and expressively animated characters and backgrounds popping out vividly. Music has also been wonderfully remastered, with each piece reflecting the original while also feeling all its own. The redone sound effects also were done well, and still fit the game. A gallery has also been included, showing concept art of this game and the original. 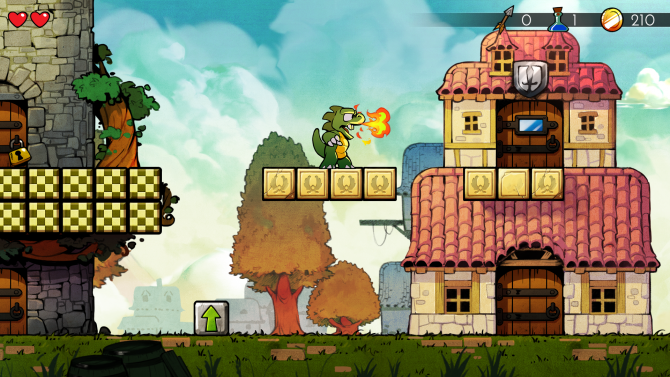 Wonder Boy: The Dragon’s Trap sets a new standard for animation in 2D platformers. If those modern enhancements aren’t your cup of tea, and you would rather just have the original Wonder Boy III experience released on modern consoles, the game’s got you covered too. All retro video and sound is included in the game, and both can be toggled in with the press of a button. The retro graphics are displayed cleanly in widescreen and runs at 60FPS, making this the best looking way to play the original game. 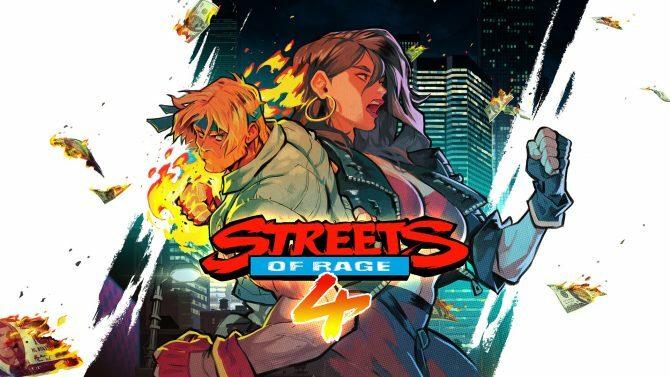 It was very thoughtful of the developers to include the original experience within the game, so both old players and new players (like myself) could experience the original game and see why people fell in love with the title and wanted it to be remade in the first place. 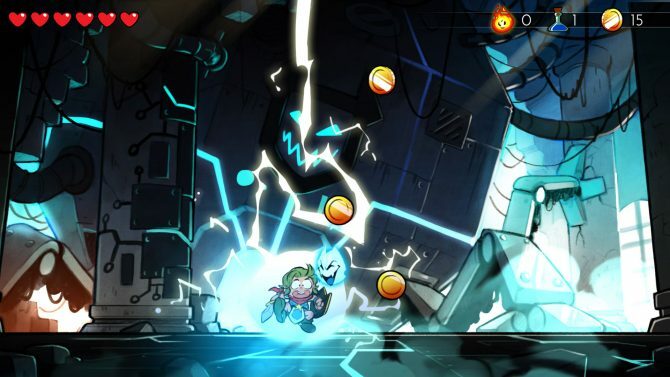 This feature elevates Wonder Boy: The Dragon’s Trap above other remakes, as it includes many modern enhancements without forgetting to pay homage to where it came from. 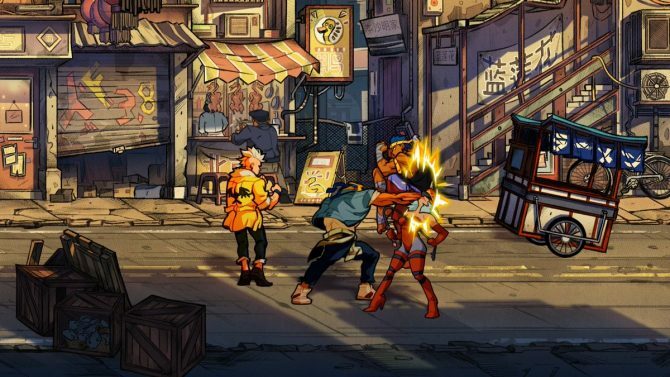 There is also the addition of the all new character Wonder Girl and, while she plays the same as Wonder Boy, the effort the developers went through to craft this character and implement Wonder Girl in both the old and new graphical styles will surely be appreciated by those who would rather play as a female or are looking for more female representation in games. For those uninterested, the feature is entirely optional. While I have only experienced the original through the retro setting of this remake, I saw that the developers even tweaked a couple of problems from what I have seen of Wonder Boy III on the Master System. The effort the developers went through to craft this character and implement Wonder Girl in both the old and new graphical styles will surely be appreciated by those who would rather play as a female or are looking for more female representation in games, although she is entirely optional. The inventory menus have also been updated and streamlined and appear to be much less cumbersome to use than the menus in the original, from what I have seen. It is also easier to choose and use picked up items than it seems to have been in the original Sega Master System release. The gameplay from the original has been retained, and while this is good for the most part, a few of the original games smaller flaws did carry over. Doors can difficult to get into, as the player has to be lined up near pixel-perfect to go through some of them. A few enemies are also cheaply placed outside doors, leading to an unfair hit when the player leaves the shop. Wonder Boy: The Dragon’s Trap’s level design is fair for the most part, so these cheap enemy placements really stand out when they occur. I also found enemies’ hit boxes a little awkward at first, although I got used to it very quickly and had no trouble determining how to hit enemies later in the game. I also tended to bounce around a lot when I got hit by enemies, and while the lenient invincibility frames prevented me from taking damage, it did throw me around the screen and took away my control of Wonder Boy more than it needed to. The lack of a fast travel system and map could also get annoying, as I had to repeatedly traverse through some of the game’s harder areas multiple times due to their difficulty, although I have a feeling that this was retained to make sure the remaster retained the same feeling as the original. These are minor problems though, and the amount of effort and care put into this remaster really shines through and overshadows these few grievances. 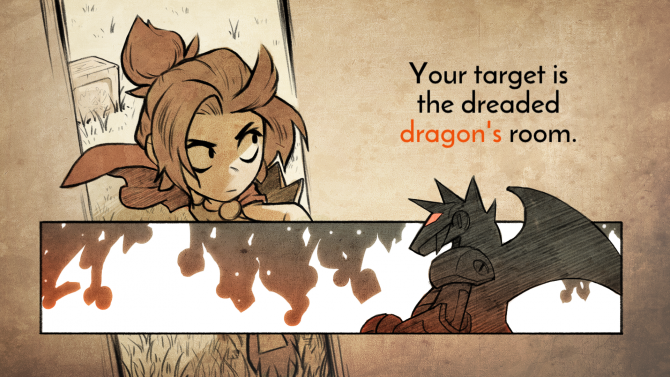 Wonder Boy: The Dragon’s Trap sets a new standard for what remakes should include, and I hope future ones can follow in these footsteps with projects that are just as passionate. While it can’t escape a few of the original title’s annoyances, it is still an engaging and enjoyable experience for 2D-platformer and series fans, and will most likely garner the franchise some new fans, who will come into contact with the series for the first time with this game like I did. I never owned the Sega Master System, but I am elated that I got to experience this all-but-forgotten gem.